Companies today are looking for ways to be more environmentally responsible and "go green." Yours is probably no different. That said, as a member of the printing industry, you're also aware that becoming paperless is not an option. Paper is your medium, and you will have to find a way to help the planet while still printing on it. Fortunately, the industry has come a long way. Arguments that place deforestation at your doorstep and insist you have to cease operations to halt it have become outdated – the state of the market is rich in alternative options, ways to be responsible while keeping your presses churning. A recent Print Week deep dive into the green paper market explained that there are two camps when it comes to how to become an environmentally sustainable printing business: recycled paper and sustainable forestry. These methodologies each have their advantages and drawbacks, and the source cautioned that there is a great deal of ambiguity and hype about each. Which is right for you? That question may not be as straightforward as it looks on the surface. Antalis Corporate Responsibility Officer Matthew Botfield told the news source that ideal strategies will walk a middle path, tailored to individual needs and using both types of material where appropriate. Companies don't have to put all their chips on either recycled or sustainable paper. In fact, both act as key cogs in the current supply chain. Therefore, they are more symbiotic than competitive. "Ultimately, it's not a case of choosing one over the other," Botfield explained. "It would be like loving the egg but hating the chicken, or vice versa. They're intrinsic to each other. The best thing a company can do is look at their own environmental credentials to see how they could be improved or fortified, and draw from both recycled and sustainable sources accordingly. However, taking steps to increase the amount of paper that goes to be recycled in the first place is another important measure." Denmaur Group Sustainability Manager Danny Doogan told Print Week that there is demand for sustainable practices at printers. He agreed with Botfield's premise that there is room for both types of material and they help one another exist. He also noted that the measurable nature of paper use means that when companies employ sustainable methods for their paper printing, it is easy to point to this as an environmental win. Customers and business partners are happy to see green practices in place, and your company can easily join this ecosystem. What are some of the respective backgrounds of the two kinds of paper? The source gave a thorough breakdown, cutting through the marketing and obfuscation that tend to emerge when dealers are promoting exciting new developments in any field. Recycled paper: When manufacturers produce recycled paper, they may be using far less energy than they would if they were creating new sheets from raw materials. The source explained that this thrifty creation process, along with the ironclad sustainability credibility of literally creating "something from nothing" could make recycling a great choice. As for downsides, paper tends to only be recyclable a few times – seven if the paper was high-quality to begin with. The utopian dream of a cycle where no new paper is ever created is not actually possible. That said, recycled materials can take over a great deal of printing needs. Sustainably harvested paper: Today, there are organizations working to ensure trees are planted aggressively to replace the ones that are cut down. The source also noted that harvested trees are used for multiple purposes, with some of the wood from any given tree going to paper, but not all. Therefore, trees being cut down just for use as paper is a false image. Print Week stated that sustainably managed forests have proven to be good environments for wildlife, meaning that supporting the related initiatives is part of a positive environmental trend rather than continued deforestation. While the above facts clearly show that there are ways to use paper and still be environmentally savvy, it's not unheard of for conservation debates to framed in terms of paperless versus harmful. Fortunately, Printing Impressions columnist Phil Riebel pointed out that this argument is no longer as compelling with the public as it once was. People are in favor of sustainable forestry – overwhelmingly so. Riebel explained that in a Toluna survey, 88 percent of consumers said they are happy to use paper and wood when the forests are being maintained in an environmentally sound way. Recycled print scored well on the study, too. 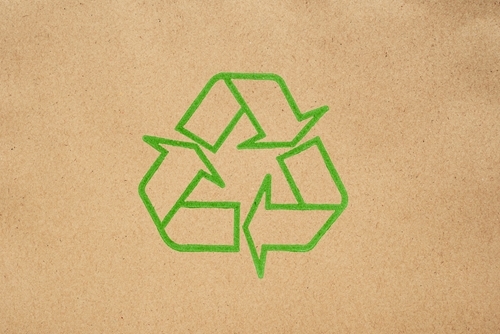 In the past few years, the number of respondents happy to use recycled paper has surged. Now, 91 percent believe paper can be a sustainable material when proper recycling practices are in place. In 2013, the amount was 19 percent lower. This means that not only is sustainable paper an accepted concept, this consensus has grown appreciably.